Suzuki India has launched the updated iteration of its existing models-the Gixxer SP and the Gixxer SF SP for the 2018 model year. Available at the price sticker of INR 87,250 and INR 1,00,630, both the models are featured with the advanced rider’s aid of ABS as standard fitment. Other than this, the fuel injection system has also been introduced to the fully-faired Gixxer SF SP offering. Besides getting the fuel injection system, no mechanical changes are witnessed on the bikes. They are continuing with the carried forward powertrain of the outgoing model. The loaded 155cc, single-cylinder, air-cooled engine is capable of generating the peak power of 14.8PS along with the peak torque of 14Nm. The engine comes mated to a 5-speed gearbox. The observed major changes on these updated bikes for the next year are at the aesthetic front. The bikes feature a dual-tone gold and black paint scheme with SP logo on fuel tank extensions. The other major highlights include striking graphics work on decals and obviously the alloy wheels with the red rim stripes. 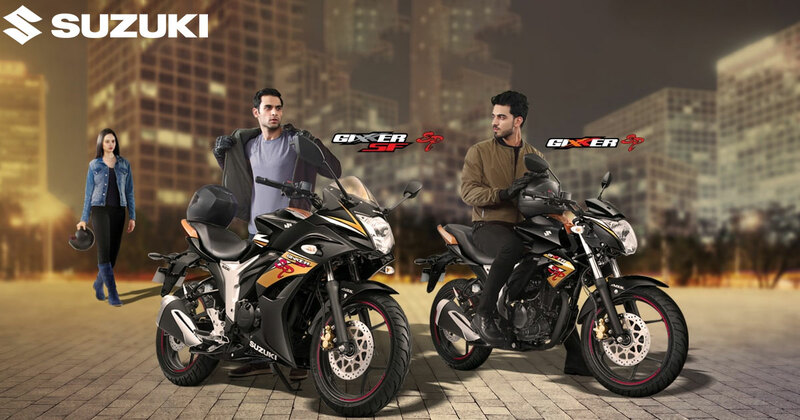 The next generation Suzuki Gixxer SP and Suzuki Gixxer SF SP has hit the dealerships for sale in the market.